We will be deleting the Articles section of the Mainspring Press website later this month. Some articles date back to the early 2000s, and many could use some updating. The best and most popular of the group will be revised and reposted as blog features over the next few months. The rest will go to their well-earned rest in offline storage. You’re still welcome to download the articles for personal use while they’re available — just keep in mind that copyrights and publication restrictions continue to apply, even to deleted articles. This gallery of early recording artists appeared in The Phonoscope for July 1898. Although touted as Columbia stars (on cylinders; Columbia discs were still several years away), they also recorded prolifically for other companies. Several, including Quinn and Gaskin, ran display ads in the same paper, offering their services to any and all. The “Mr. 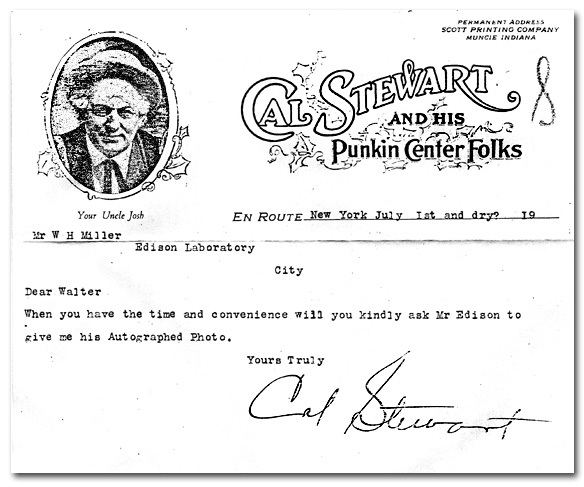 Emerson” mentioned in the first paragraph was Victor Hugo Emerson, later better known as the manufacturer of Emerson Records. Steve Porter and Russell Hunting would also come to play important roles in the early recording industry, the latter as a Pathé executive. 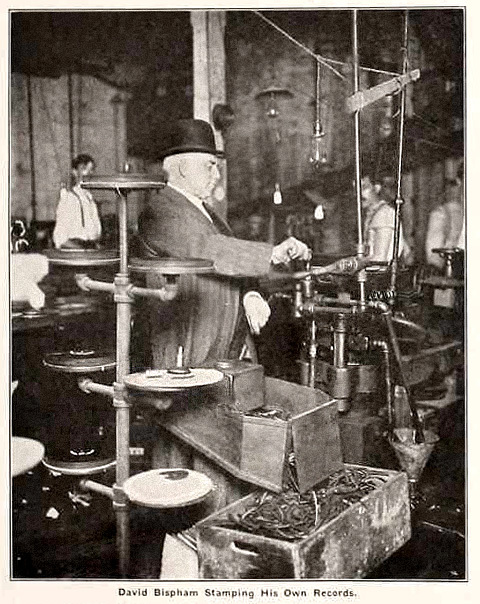 This 1912 publicity shot, showing baritone David Bispham pressing a record, reveals what a grim, gritty operation Columbia’s Bridgeport pressing plant was. Conditions did not improve there, and in the early 1930s John Hammond finally exposed the situation in a muckraking article that had employees clamoring for unionization. The problems were finally corrected, and the workforce unionized, after CBS purchased the plant in 1939.